Euro 2016 is just 5 months away and last renovations works are ongoing in Paris. You may have missed most of the changes, because from the outside not much has changed at all. After all, Parc des Princes is a historical monument and only had the concrete shell refreshed. But with a closer look you can see a lot more, especially inside the stadium itself. We begin in the office pavilion north-west of the stadium. It was built as an independent structure, but is now conjoined with the stadium, connected with bridges and a 4-floor high atrium. Within the pavilion there’s room for secondary hospitality suites, while inside the main grandstand numerous luxurious lounges were built. The halls (called salons here) can serve as conference/banqueting facilities on non-matchdays and their fine décor may be a reason for envy to most football clubs. Players, referees and delegates will enjoy all-new changing rooms and sanitary facilities, which by the way were revamped not only here, but throughout the stadium. Contrary to most of the stadium, main grandstand was actually expanded upwards by the addition of an impressive skybar hanging over the business sections. All of the stand’s layout was redone. 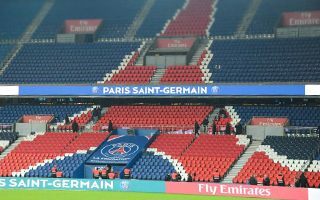 The stands’ geometry hasn’t changed, though number of business seats within the main stand increased significantly (according to our data 3,600 compared to 2,000 before). All remaining stands were equipped with two additional front rows, bringing fans closer to the action. However, capacity was actually reduced by roughly 1,000 seats (to 48,712) since wider new Avatar seats are now being installed as one of the very last touches before Euro 2016.